The U.S. Army has awarded Cubic‘s (NYSE: CUB) GATR Technologies subsidiary a $522.5 million contract modification to provide multiple-size Inflatable Satellite Antenna systems, kits, spares and training support. The Defense Department said Friday the Army Contracting Command will determine work locations and funds upon issuance of each order under the contract that runs through Sept. 26, 2023. 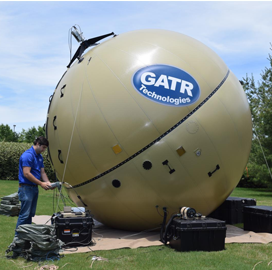 GATR Technologies has provided Wideband Global SATCOM-certified ISAs, associated parts and services to the U.S. military under a five-year, $440 million indefinite-delivery/indefinite-quantity contract awarded in 2014. The U.S. and its allies have deployed more than 300 ISA terminals over the past decade.